Pom poms make me happy. Colorful hearts make me happy. 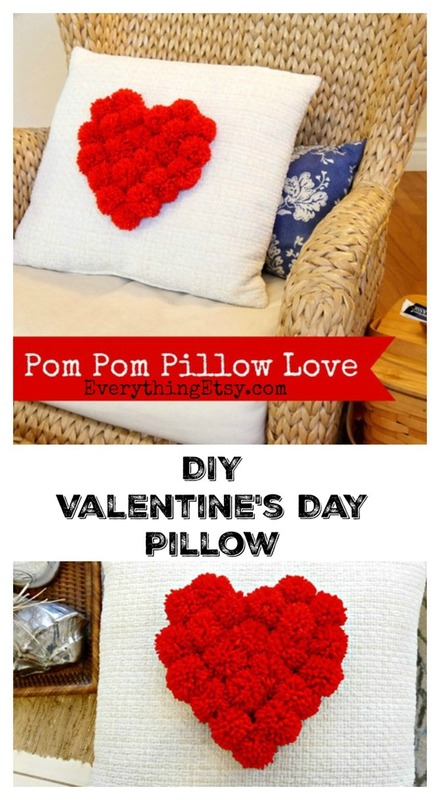 So, I combined the two into this fun DIY Valentine’s Day Pom Pom Heart Pillow that’s a sweet addition to any holiday decor. It’s a nice touch without going all heart crazy with cupids hanging from ceiling. 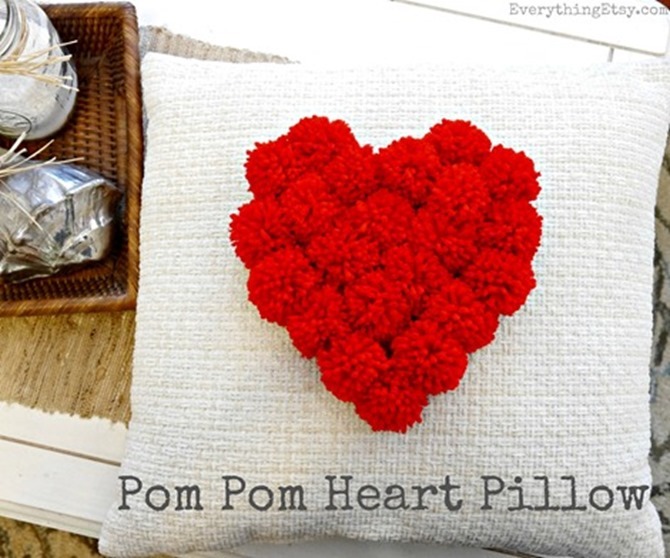 You know you need a heart pillow somewhere in your home, don’t you?! 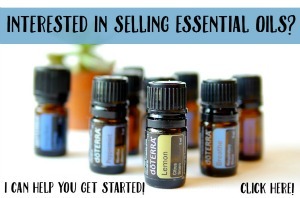 This is a quick project with no major concentration required…lol. 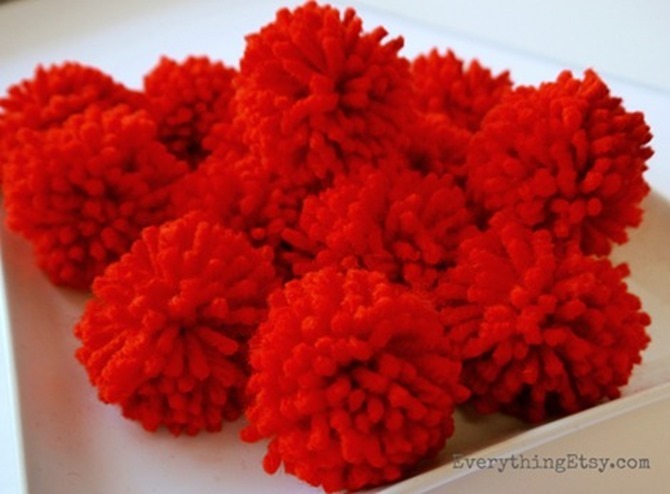 The pom poms were made with my super cool and crafty pom pom maker that I’ll share with you in another post. Just wrap it around the tool, trim and you’re all set. You will love it! 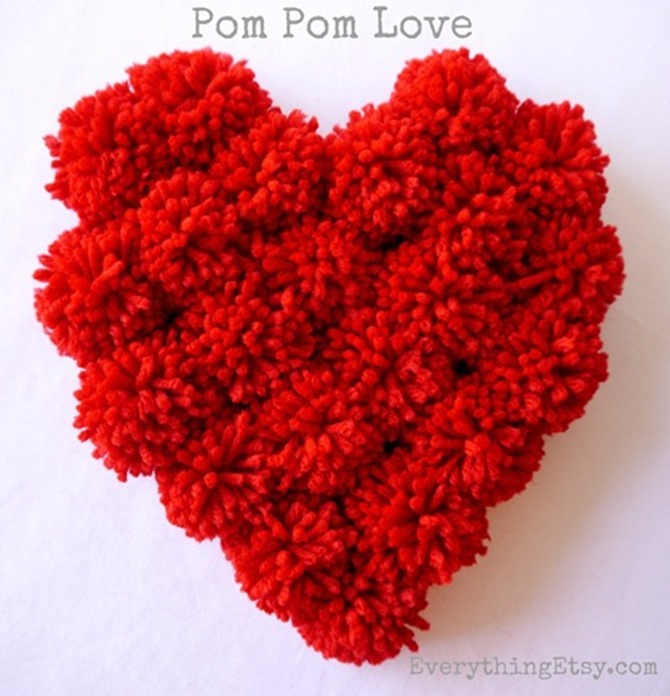 Gather up a bunch of trimmed pom poms…I used 22 pom poms for my heart. To give you a little perspective on the size I will tell you that this is a simple 17 inch pillow. The completed heart is 9” x 9” full of 2 inch pom poms. 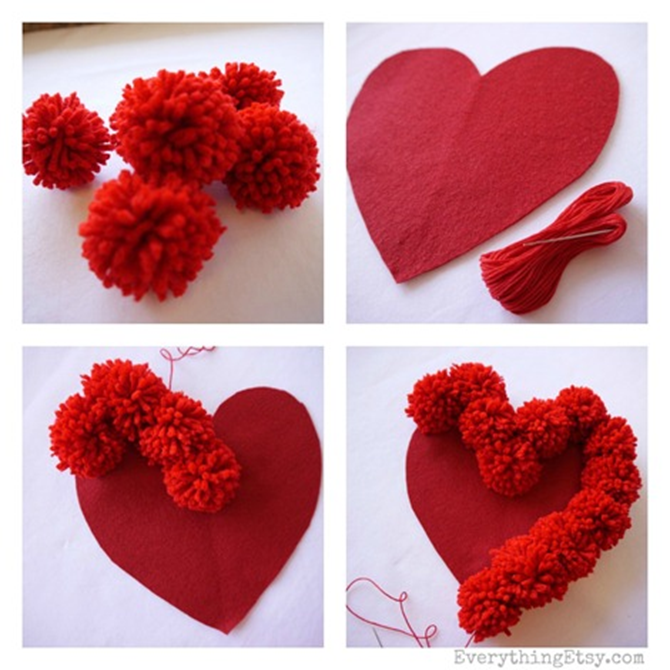 I simply started attaching each pom pom with the embroidery thread to the edge of the heart. I started at the top working my way around. I only used two large stitches for each pom pom so it was a quick process. You might need to adjust the number of stitches depending on how much your pillow will be handled. I completed the edge and then filled in the center with pom poms. Don’t you love it?! There are many ways it can be attached to the pillow, but I added just a few stitches along the edge so I can remove it later without damaging the pillow. You could just glue it with fabric glue. Whatever makes you happy. 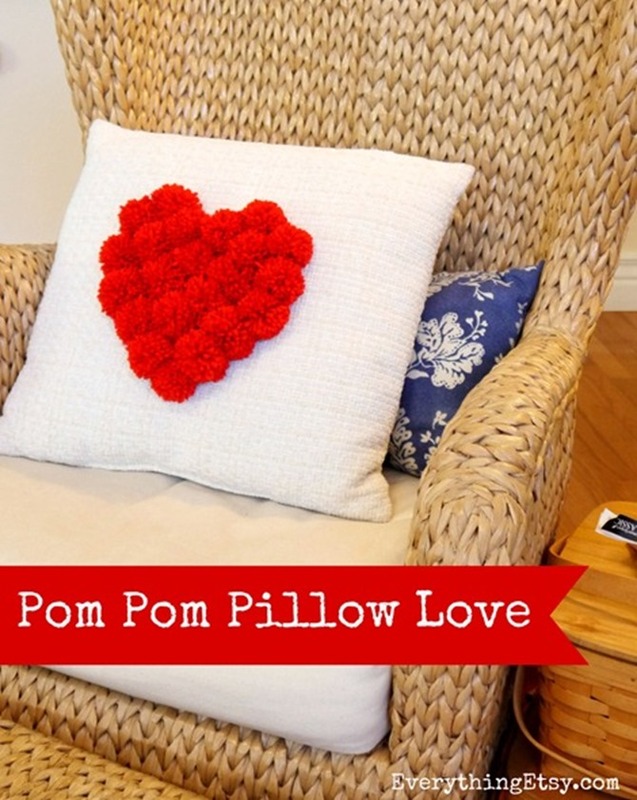 There you have it…one pretty Pom Pom Heart Pillow! If you have any questions feel free to leave them in the comments. Click here…Valentine’s Day Ideas You’ll Love! I like this cute pillow. 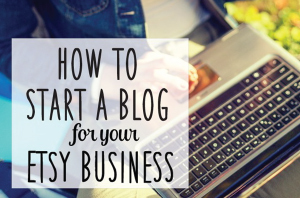 Will you be able to somehow record a short video describing the process in details?